Value investing often requires a leap of faith, especially when you buy something cheap with no real catalyst on the horizon. 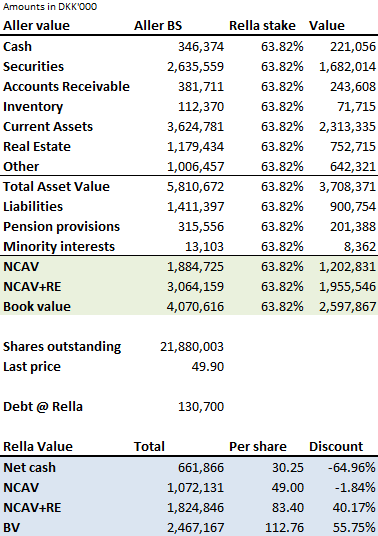 While Rella Holding had an active share repurchase program – so you could do far worse on the catalyst spectrum – I wouldn’t have expected that anything big would happen in the near future. 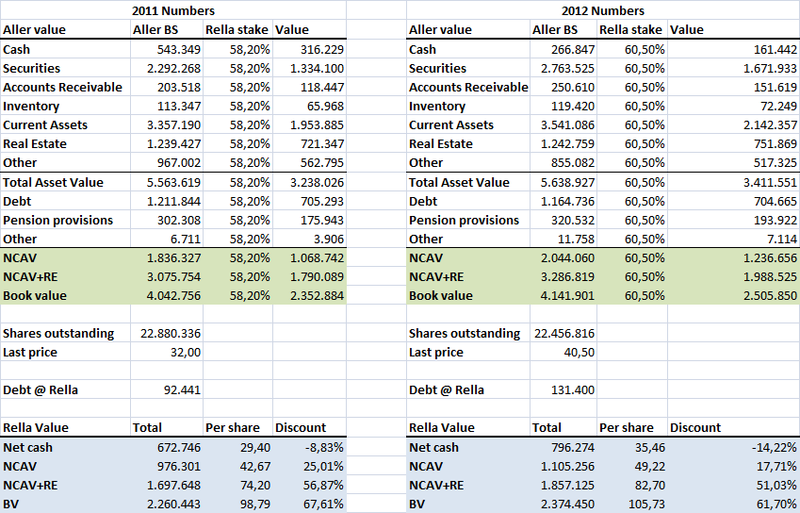 Rella owns a large stake in Aller through non-voting B-shares, and the majority of the value of Rella is derived from the cash and securities that are owned by Aller. 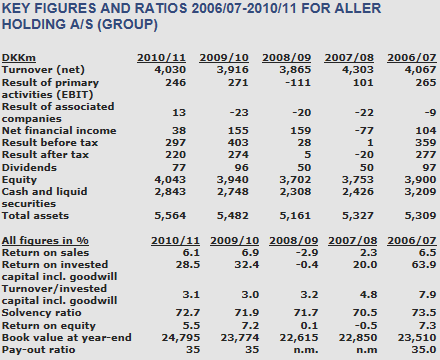 With insiders strongly at the helm at Aller – a struggling weeklies company – you wouldn’t expect any change anytime soon. See my write-up from 2012 for more details. 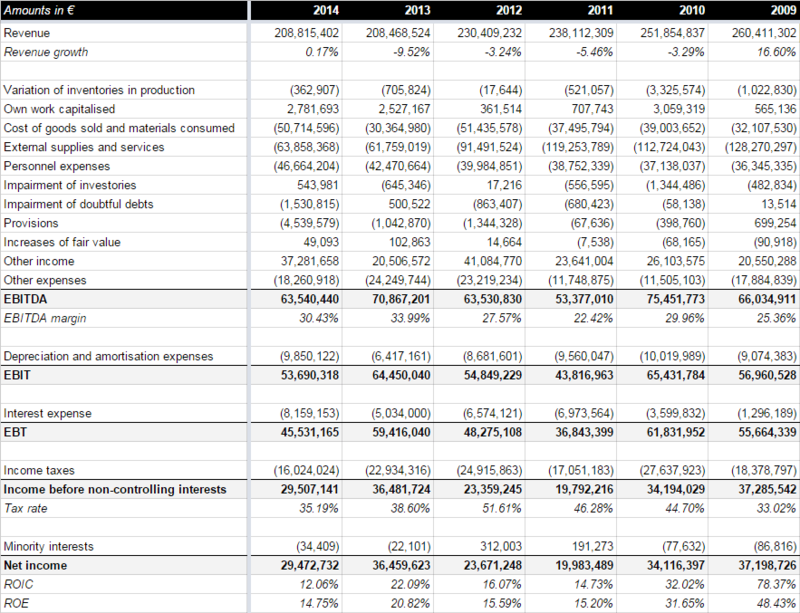 They are paying a bit less than my estimated liquidation value of 83.40DKK/share, but I think that’s fine: to make a good deal it has to be a win-win for both parties. 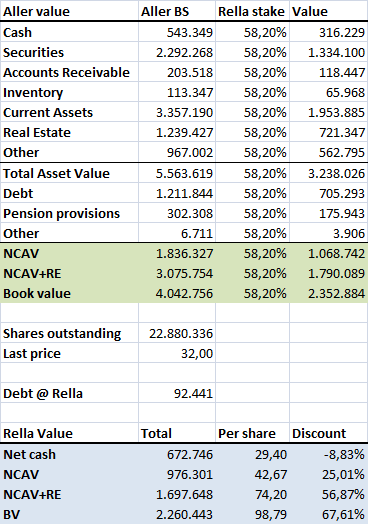 This transaction allows Rella shareholders to realize value and Aller can purchase a huge chunk of stock at a big discount to book value (and a slight discount to intrinsic value). 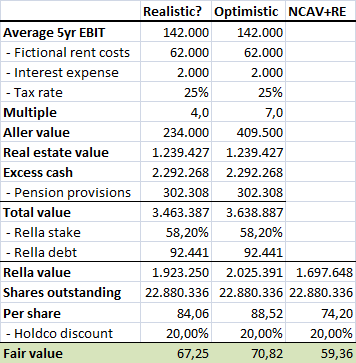 With the stock currently trading at 72.50DKK versus expected liquidation proceeds of 77DKK I think it also offers a good risk/reward for those wanting to play the merger arb game. The transaction is expected to close before 1 July 2015, and the two biggest shareholders of Aller, representing 87.8% of the outstanding A-shares, have already agreed to vote in favor of the transaction. The only thing that will be required is shareholder approval at Rella. 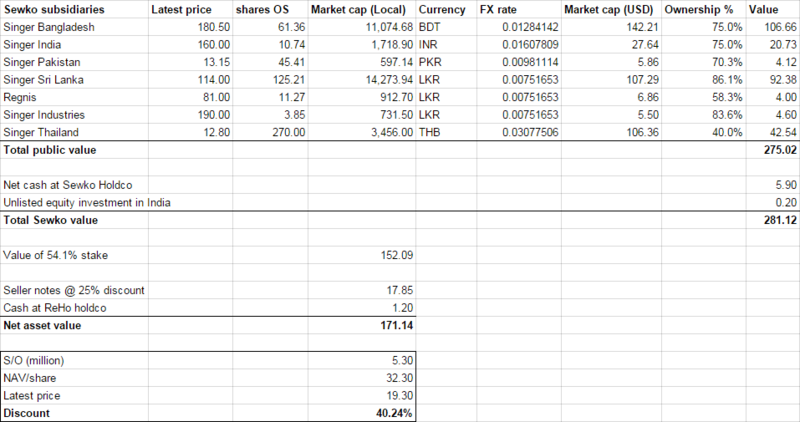 This entry was posted in Portfolio and tagged RELLA.CO on March 13, 2015 by Alpha Vulture.